With more and more supermarkets upgrading from mechanical valves to the superior performance of CDS valves, Sporlan is pleased to announce their expanded line of Conversion Kits. 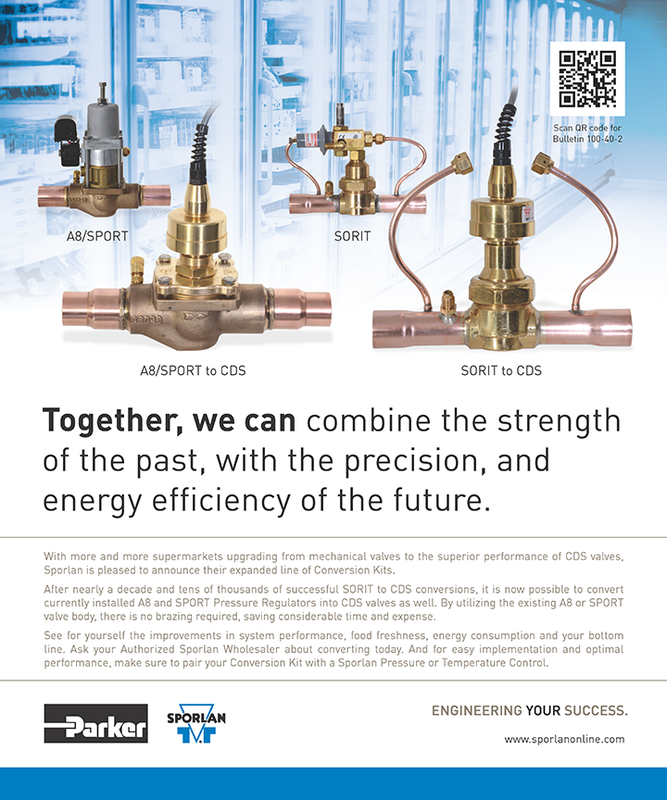 After nearly a decade and tens of thousands of successful SORIT to CDS conversions, it is now possible to convert currently installed A8 and SPORT Pressure Regulators into CDS valves as well. By utilizing the existing A8 or SPORT valve body, there is no brazing required, saving considerable time and expense. See for yourself the improvements in system performance, food freshness, energy consumption and your bottom line. Ask your Authorized Sporlan Wholesaler about converting today. And for easy implementation and optimal performance, make sure to pair your Conversion Kit with a Sporlan Pressure or Temperature Control.